-"Help! I need an ambulance!" -"We're on our way. Would you like some fries with that?" 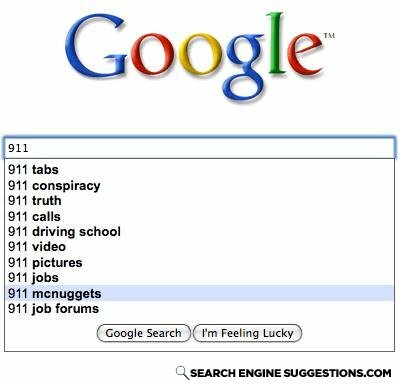 "911 mcnuggets" wtf?? is it 911 like police or 9/11??? EXPLAIN! I searched it, basically, this woman called the American police because McDonald's had run out of McNuggets...what the hell were they putting in her food? Wow, so mcdonalds bombed the world trade center, makes perfect sense. You don't have to cook an onion to eat it.